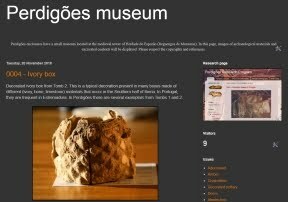 A paper is being prepared about the phalange idols from funerary contexts of Perdigões enclosure. Some are decorated, others just polished and with change in their morphology to make it more anthropomorphic. While cleaning the peaces one of them presented a decoration characteristic of the anthropomorphic figurines of the 3rd millennium BC: the two solar eyes, the facial tattoos and, in this case, a horizontal belt. In the back the usual zigzag hair. 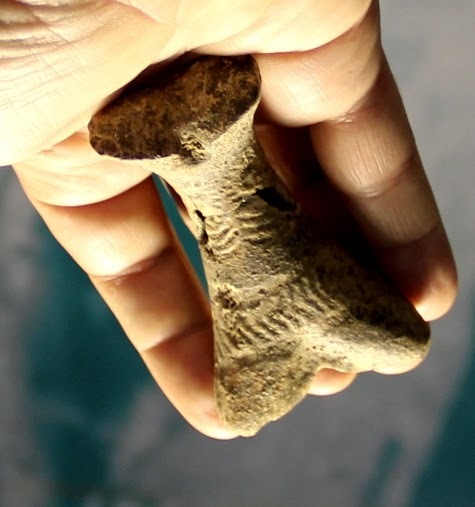 Very similar to some decorated phalanges of La Pijotilla. The paper will address the idols but also their specific support that reveals particular choices and has implications for an important issue of the period: the questions about social role of the horse.